The New Year is traditionally a time for Sinn Fein and republican groups to issue statements to their supporters. The following is a round-up of the statements issued this year. Bliain ur faoi mhaise daoibh go leir. Our country is undergoing huge changes. The peace process has allowed an entire generation to live without conflict. This generation should now be playing its part in developing the Irish nation as we approach the centenary of 1916. However, so many institutions in this country -- political, economic and banking, have failed our people. Rather than playing their part in building a modern, dynamic republic, so many of our youngest and brightest have been forced onto the dole or to various corners of the globe. The imposition of austerity polices by governments in Dublin and London is stifling Irish economic growth, causing severe hardship for families and creating poverty. There is deep anger that the Fine Gael/Labour government has been merciless in pursuing policies that harm the welfare of its own citizens while adopting a meek, ineffective approach in negotiations with banks, Europe and the IMF. Our country urgently needs a change of direction. North and South, in government or in opposition, Sinn Fein has pointed to a better, fairer way forward that is about protecting public services and families on low and middle incomes, fair taxes, investment in jobs, and growing the all-Ireland economy. The peace process, one of Ireland’s success stories in recent years, remains a work in progress. The next stage must see a genuine process of reconciliation among the people of Ireland and between Ireland and Britain. 2013 could be the year of reconciliation. This could address, comprehensively, issues such as respect for identity, symbols and culture. It requires political, civic and community leadership. Recent misrepresentations by unionist politicians of a ‘chipping away at everything British’ in the North, is a dangerous falsehood. The North is no longer a unionist fiefdom and must reflect Irishness and Britishness with equality of treatment as envisaged in the Good Friday Agreement. Equality also means freedom to purse political objectives peacefully and democratically. In the coming weeks Sinn Fein will launch a campaign to secure a border poll. This is part of the Good Friday arrangements. The current qualified and conditional claim by Britain on the North will change when a majority of citizens vote to end the Union. Sinn Fein wants to see a border poll held in the upcoming period. That means building support for a poll and for a vote to end Partition. The economic and political dynamics of the 21st century point to greater co-operation and harmonisation. Common sense and the logic of history, argue for the peaceful re-unification of our country. I believe it is possible to persuade a majority of citizens that the division and partition of the past can be replaced by a future based on unity and equality -- an agreed Ireland and a pluralist, inclusive and modern republic. For now, I wish you all a happy and peaceful New Year. As the hundredth anniversary year of the 1913 Lockout begins eirigi extends solidarity greetings to its members, supporters and all of those who have contributed to the struggle against imperialism and capitalism in Ireland over the last twelve months. We look forward to 2013 with optimism, resolute in the belief that an all-Ireland Socialist Republic continues to represent the only viable alternative to the failed politics of partition, exploitation, deprivation and austerity. We enter the New Year with a renewed determination to challenge both the British occupation of our country and the exploitative economic system that currently exists across Ireland. The popular fight back against the anti-working class policies of the Leinster House and Stormont administrations gained considerable momentum in 2012. Hundreds of thousands of families in the Twenty-Six Counties participated in the boycott of the Dublin government’s home tax. eirigi commends them for this historic and successful act of mass civil disobedience. 2013 will see the Dublin government attempt to introduce a re-formatted home tax, with domestic water taxes set to follow in 2014. These taxes will need to be met with mass collective action similar to that which defeated the 2012 home tax. In the Six Counties ever greater numbers of people are coming to see Stormont as the White Elephant it will always be. Far from the new beginning that it was supposed to deliver, Stormont has produced nothing but the same old, tired, failed politics of the past. Despite their hollow words of protest, the coalition parties in Stormont have obediently implemented the cutbacks of their Tory masters over the last twelve months; a fact which has not gone unnoticed by communities across occupied Ireland. eirigi believes that the austerity programmes of both states can be defeated through a sustained campaign of mass protest, industrial action, civil disobedience and direct action. Over the coming year eirigi will continue to work within working class communities to build such a campaign of resistance. The last twelve months have seen a marked increase in the harassment and vilification of republican and socialist activists across Ireland. eirigi members and supporters have found themselves repeatedly subjected to ‘stop and searches’, attempts to recruit them as informers, house raids, arrests and imprisonment. In late November, this campaign of political policing escalated with the charging of eirigi activist Stephen Murney. As a result of these spurious charges Stephen has now spent more than a month incarcerated in Maghaberry Jail. It is abundantly clear that Stephen has been targeted by the PSNI for no reason other than his vocal and consistent criticism of the PSNI and the Stormont regime. eirigi is calling on all republicans, socialists and others progressives to familiarise themselves with Stephen’s case and actively campaign for his immediate release. This escalation of state harassment and oppression against eirigi has come as no surprise. All oppressive states respond in this way to effective opposition. There is nothing the Irish ruling class fears more than a resurgent revolutionary republican movement successfully mobilising the wider working class. Our activists intend to spend the next twelve months working to realise the worst fears of the ruling class. The attempts of their forces to intimidate our activists and supporters will be as unsuccessful in 2013 as they were in 2012. Towards the end of 2012 eirigi welcomed the decision of the political prisoners in Maghaberry to end their long-running protest in support of political status. We are again calling on the British government and the prison authorities not to squander the opportunity that this brave decision affords them. Irish republicans will never accept the criminalisation of the struggle for Irish freedom, within the jails or without. 2013 will mark the hundredth anniversary of a number of critically important events including the Great Lockout, the foundation of the Irish Volunteers and the foundation of the Irish Citizen Army. The parallels between the Ireland of 1913 and the Ireland of 2013 are many. Then, as now, Britain maintained an illegal occupation of Ireland. Then, as now, workers and their families found themselves being pushed into extreme poverty to satisfy the greed of a super-wealthy elite. And then, as now, the private media and the forces of the state were mobilised to vilify and attack those who dared to resist. One hundred years ago thousands of Irish women and men came to the conclusion that the appetite of the rich and powerful was insatiable; that national, economic, social and cultural rights have to be fought for and defended; that the key to victory lies in the creation and development of revolutionary organisations committed to the overthrow of the ancien regime. As we enter 2013 the people of Ireland would do well to follow the example of their grandparents and great-grandparents, by taking a stand against those who would drive them into poverty and despair. To those who are ready to take that stand eirigi extends an invitation to join with us. Together we can act in the spirit of 1913 and achieve the vision of 1916. Republican Sinn Fein extends fraternal New Year greetings to friends, comrades and supporters in Ireland and internationally. Millions of working-class people in Ireland and across Europe will greet the coming year with a sense of fear and foreboding. The recent budget announced by the 26-County Administration shows that the unrelenting policy of austerity - dictated by their political masters in Brussels - is not only to be continued but increased, squeezing all sections of our people beyond breaking-point. In the eyes of the political class and their media cheerleaders the working poor and unemployed, the elderly and the young are all expendable. The very concept of a society which can educate its young and care for its sick and elderly is being sacrificed on the altar of the EU@s political and economic ideology of centralised authoritarianism and finance capitalism. The decision by the British Government to host the G8 Summit in Co Fermanagh on June 17 and 18 is highly symbolic and presents an opportunity for progressive forces to make the important connection between the old imperialism in the shape of British occupation of the Six Counties and the new imperialism represented by the economic colonisation of the 26 Counties by the EU/ECB/IMF troika. Republican Sinn Fein will be holding an alternative Anti-Imperialist Forum on the weekend before the G8 summit to present national as well as international alternatives to these twin imperialisms. In the Six Counties the process of normalising British Rule continues with the designation of Derry as a “UK City of Culture”. Republican Sinn Fein will be actively opposing this hijacking of the historic Doire Colmcille throughout 2013. The recent revelations arising from the discredited de Silva report into the murder of Belfast human rights lawyer Pat Finucane by a British backed loyalist death-squad, exposes the true face of British rule in Ireland. Today nothing has changed; last year saw an increase in the repression of Republicans and 2013 promises more of the same. We will be once more campaigning for the unconditional release of political internee Martin Corey as well as veteran Republican Marian Price. We take this opportunity to extend New Year@s greetings to the Republican POWs in Maghaberry Prison and pledge them our unstinting support in the latest phase of their fight for political status. By suspending their protest the POWs have placed a serious onus on the Six-County Justice Minister David Ford and the Six-County Prison Service to speedily implement in full the August 2010 Agreement. As the centenary of the historic 1916 Rising approaches, other important centenaries must also be marked. Next year will see three significant centenaries all of which carry a pressing relevance for the Ireland of today. Next August will mark the 100th anniversary of the beginning of the heroic 1913 Lockout when Irish workers struck a telling blow in the universal fight for human dignity and freedom. The coming year will also mark the centenaries of the founding of the Irish Volunteers and the Irish Citizen Army, both of which would combine in 1916 to form the Irish Republican Army. All will be fittingly marked. For those who doubt the potency and power of history one has only to consider the words of the filmmaker George Morrison in reference to his masterful Mise Eire film covering the revolutionary period in Ireland from the 1890s to 1918: “ I regard Mise Eire as being a great anti-imperialist document.” History, if utilised correctly, can awaken and inspire the brightest and best of a generation to the possibilities of radical change in the present and the future. We appeal to the Irish people to awaken to the realisation that they possess the power to bring about true political and economic change, not the chattering classes in Leinster House. Electing politicians to the corrupt Lenister House institution will not deliver the revolutionary change that is demanded by the present political and economic conditions. As the only political organisation which rejects the two partition states in their entirety, Republican Sinn Fein is best positioned to lead the struggle for a New Ireland worthy of the ideals set out in the 1916 Proclamation. An Ireland which would harness our natural resources for the betterment of this and future generations, an Ireland which would truly “cherish all the children of the national equally”. In the lead up to 2016 we will be unveiling a series of seven specific polices covering areas such as natural resources, banking, economic development etc, all based on our political, social and economic polices EIRE NUA and SAOL NUA. We can only truly honour the men and women of 1916 by making the All-Ireland Republic of Easter Week a reality for all sections of our people. The 32 County Sovereignty Movement sends New Year greetings to all our members and supporters at home and abroad, imprisoned comrades, republican comrades and fellow organisations. There is political violence in Ireland, not because a particular flag is flown at certain times, but because the wrong flag is flown at all. There is political violence in Ireland because the so called peace process failed to address this core issue of national sovereignty. Restricting the flying of the Union flag in no way restricts what it represents; British claims to sovereignty over part of Ireland. That is what the Good Friday Agreement secured. To resolve the conflict in Ireland we must address the question of sovereignty. This cannot happen in Stormont because the issue is beyond its remit. The democratic deficit inherent in partition can only be rectified with the ending of partition. Hiding behind spurious votes to sanitise British occupation, and Free State indifference, merely perpetuates the conflict. Agreement amongst the people of Ireland as to how we should govern ourselves is a matter for ourselves alone. Only the deluded or the politically outmaneuvered can accept the British as a neutral bystander. There is no neutrality in internment by remand. There is no neutrality in the abuses in Maghaberry and there is no neutrality in the ongoing abuse against republican Marian Price. We once again put the challenge to the British Government: if you are truly neutral then withdraw your claim of sovereignty, allow for a new dialogue to commence on this issue, devoid of vetoes, and allow us to write Emmet’s epitaph. 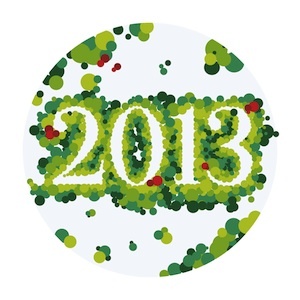 2013 is a preparatory year for 2016. The 32 County Sovereignty Movement once again reiterates that a unified republican base is the most potent way to honour the centenary of the 1916 Rebellion. The Easter Rising was in itself an exercise in republican unity; it can and must be done. Visions, however diverse, for a future sovereign Ireland cannot be used as preconditions against securing that sovereignty. We bring to this process our United Nations Submission as a political alternative that all republicans can embrace without any surrender of principle. Republican unity is an exercise in pooling principles and strategies, to remove the common impediment, to all our future visions for our country and our people. The vitriol railed against us in the establishment media is a measure of how much they fear our political message. That is why they try to criminalise and demonise us in the absence of their ability to counter our political view. We call on all republicans to confront this vitriol with calm and rational discourse as the surest way to prevail. The changing nature of mass media allows us an unprecedented opportunity to propagate the republican analysis. Let us do it wisely. I look forward to 2013 with hope and ambition. During the last 12 months the unfinished journey of our Peace Process has continued to unfold. I am pleased that we overcame significant challenges and successfully advanced important developments, including sign off on the Long Kesh/Maze site, and real progress in attracting new investment and jobs in the north. However, the world wide economic crisis has also left many of our citizens jobless and driven many employers to the wall. I am absolutely determined that the efforts of the Executive will intensify next year to protect existing jobs and create new employment. The Executive, Assembly, and North South Ministerial Council have addressed substantial issues of economic and social concern affecting our people and I am committed to seeing this work built upon. I believe that all our politicians must unite against the punishing austerity policies driven by the Tory/LibDem coalition in London. Our priority must be to protect the most vulnerable in society; defend public services; and, to support small businesses, employers, and the agricultural industry. I pledge to promote an agenda aimed at developing our local and island economy on the basis of balanced development, despite the limits forced upon us by the denial of fiscal powers by the British Exchequer. I earnestly hope that we will continue to move towards the development of a new phase in our Peace Process in 2013, and that the seeds of reconciliation among and between all our people will grow. My decision to meet Queen Elizabeth during her visit to Belfast earlier this year was a sincere effort on my behalf to advance reconciliation between republicans and unionists and consolidate our Peace Process. 2012 heralded the beginning of a decade of centenary commemorations. I dearly hope that this era will become one in which we at last replace division with new human and political relationships, and forge lasting peace and friendship between our communities, and the islands of Ireland and Britain. Some in our society still oppose that vision, but they are wrong to do so. Our future must be one of reconciliation, and the politics of hope and change. In taking all of this forward we will of course face many challenges, not least the continuing blight of sectarianism and segregation. Meeting these will require imagination and compromise. But compromise discriminates against no one and benefits us all. And I am determined that we will see the publication of a CSI strategy in the time ahead. As our society continues to change in 2013 considerable leadership and generosity will be needed from all political, civic, church and community leaders. Equality and mutual respect should threaten no section of our society. I pledge myself to work with everyone in promoting inclusivity and respect for all traditions and identities. In such a context respect for our different national identities, traditions and symbols becomes possible. Let us work as one society to embrace these challenges in 2013, and advance reconciliation in our time.